From the New York Times best selling book of the same name comes a movie adaptation dusted with Hollywood stars, a sprinkle of humour and the texture of cardboard. The film revolves around couples with intertwining lives all of which experience pregnancy in some way- trying, adoption, miscarriage, preparation and so on, covering almost all grounds on the topic. The inclusion of the male psyche is also interesting in this movie but the stereotypes and the extreme characters make it hard to relate to. Any amalgamation of stories in film especially with so many stars is difficult to handle and here, it is also true, although the focus is shifted away from who the hottest actors are and rather the stories themselves which is to praise- you are less aware of who is getting the most amount of screen time and are invested more into the story. That said, the whole movie was a bit of a lull and apart from the climaxing birthing scenes, it was kind of yawn. The humour was a bit flat- well, I've not given birth or witnessed it- so maybe it just wasn't my sense of humour. Also cameos Cheryl Cole and Whitney Port. Elizabeth Banks shine through the cast as Wendy, giving a range of emotion and expression, I cannot wait to see her reprise her role as Effie in Catching Fire. Cameron Diaz and Jennifer Lopez rest on their type-cast personalities to sail through this comedy, bringing their What Happens in Vegas and Back-Up Plan persona respectively. The guys also fail to shine, well apart from Joe Manganiello who despite his short screen time manages to showcase his perfect bod, whilst the others flail around looking utterly bored. Ben Falcone, despite his obscurity manages to hold his own. 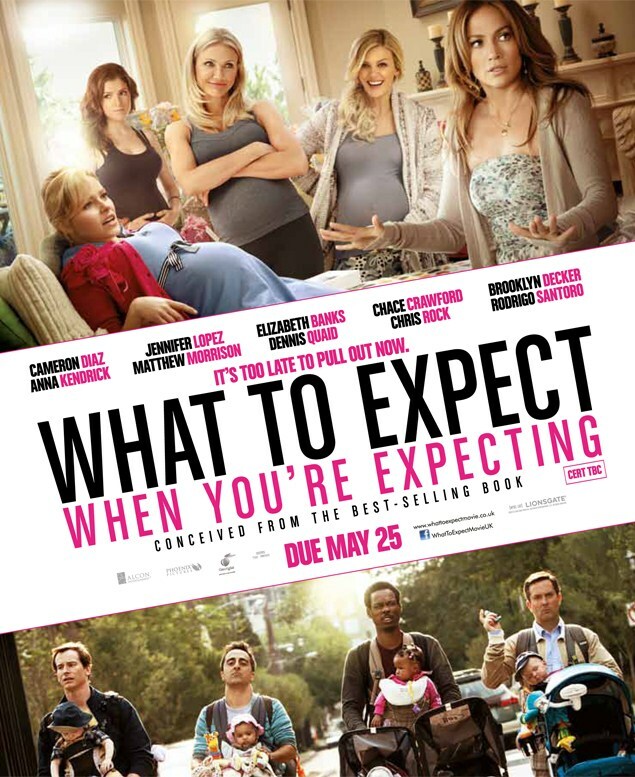 'What to Expect when You're Expecting' is definitely a film for those who ARE expecting, have had a child or are trying- or perhaps not, as some scenes in this movie may put you off child birth altogether. The whole plot is dilute, there is a lack of romance and the comedy is dry.